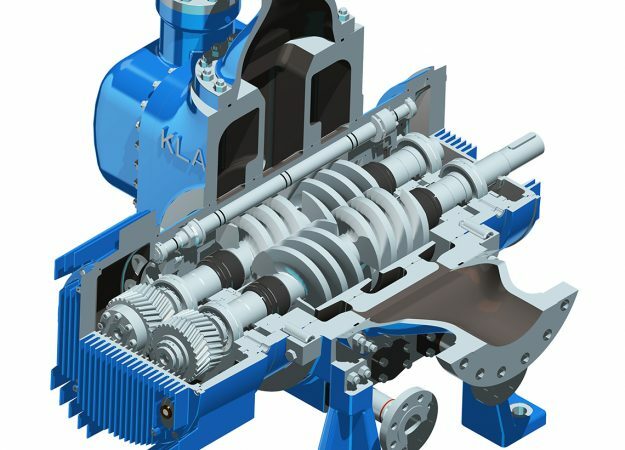 With our partner Klaus Union we are able to supply screw pumps in accordance with API676. Selfpriming Screw Pump with two screws in double volute and hydraulically balanced design. The drive torque is transmitted from the drive screw to the idler screw via herringbone gears. The screws rotate closely meshing but without contact to the bore of the interchangeable pump casing insert. 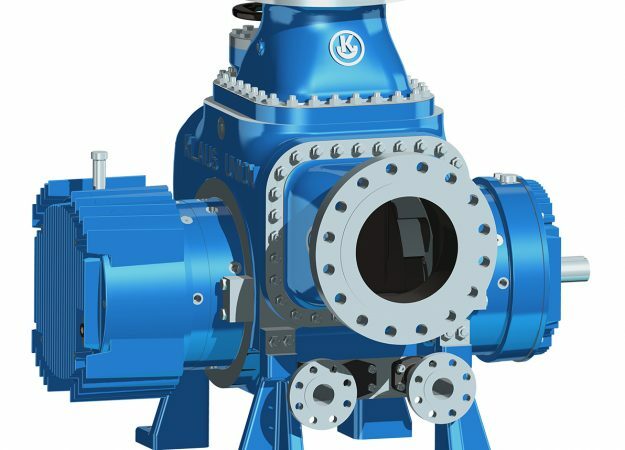 As a result of the special profile geometry, sealed cavities are formed, which transport the pumped liquid continuously with low shear and without turbulences from both suction chambers axially to the discharge chamber. With a unique cartridge system for ease of maintenance and fast turnaround the pump is built for the harshest environments.